This Privacy Notice applies to all data collections and other data processing of Silven recruitment Ltd. For the purposes of this Privacy Notice any references to Silven recruitment Ltd (or “us” or “we” or “our”) means Silven recruitment Ltd.
At Silven recruitment Ltd we take your privacy seriously, this Privacy Notice explains how we treat your personal data to maintain your privacy. It describes how we collect, use and process your personal data, explaining what we do with it whether we are in the process of helping you find a job, continuing our relationship with you after finding you a role, providing you with a service, receiving a service from you, using your data to ask for your assistance in relation to one of our Candidates or you are a Website Visitor. This Privacy Notice applies to the personal data of Candidates, Clients, Contractors, Staff, Suppliers, Website Visitors and other people whom we may contact in relation to our Candidates or whom they have indicated as an emergency contact. It also applies to the emergency contacts of our Staff. Silven recruitment Ltd reserves the right to update this Privacy Notice at any time, please review the “Last Updated” details at the top of this page to determine when this Privacy Notice was last updated. Any change to this Privacy Notice will become effective on the “Last Updated” date indicated above. Silven recruitment Ltd will make every effort to communicate any significant changes to you via email and/or by posting a notice on Silven recruitment Ltd’s Site. Your continued use of Silven recruitment Ltd’s services will be deemed as acceptance of any amended Privacy Notice. If you are dissatisfied with any aspect of our Privacy Notice, you may have legal rights and, where relevant, we have described these as well. Silven recruitment Ltd collect your personal data in order to facilitate the recruitment process, you are under no obligation to provide your personal data, however, if you do not provide your personal data we may not be able to provide you with certain services. We only ask for details that will genuinely help us to help you, we do not collect more information that we require to fulfil our stated purposes and will not retain it for longer than is necessary. It is not our policy to seek sensitive personal data unless required for further recruitment purposes, legally required or reasonably necessary for an ongoing relationship with you. Sensitive data includes data concerning race or ethnic origin, physical or mental health, sexual orientation, religious beliefs, political opinion, trade union membership or criminal records and proceedings. We therefore suggest that you do not offer sensitive personal data of this nature unless specifically requested to do so. If you do provide sensitive personal data for any reason, we accept this as your consent to use such data in the ways described in this Privacy Notice. The personal data we hold is dependent upon your relationship with us, the information below describes the personal data held, how it is collected and used, the systems it is held in, the period we hold it for, who it is shared with and the lawful basis for processing. Dependent on the circumstances and requirements we may collect some or all of the personal data listed below to enable us to offer you employment opportunities that are tailored to your interests, skill set, experience and expectations. Please note the above list of personal data we may collect is not exhaustive. Silven recruitment Ltd needs to know certain information about you to be able to provide a tailored service. This personal information enables us to provide you with the best opportunities and should improve your job search experience with us, by hiding jobs and services that are not relevant to you. If you “like” our page on Facebook or “follow” us on Twitter we will receive your personal information from those sites. When accessing our website or you read or click on an email from us we may collect your data automatically or through you providing it to us. Developing and managing our services and relationship with you. Display promotional excerpts from your details on Silven recruitment Ltd’s website(s) as a success story (only where we have obtained your express consent to do so). We need your consent for some aspects of these activities which are not covered by our legitimate interests and, depending on the situation, we’ll ask for this via an opt-in. If you have opted out from our marketing communications, either via the unsubscribe link in the footer of marketing emails or through your website profile, it is possible that your personal data may be recaptured from public sources in an unconnected marketing campaign. While we will endeavour to ensure this does not happen there may be instances, from time to time, where it does and would appreciate your understanding in these instances. Our marketing is based on what we think will serve our Candidates best. We may use your data to show you Silven recruitment Ltd adverts and other content on other websites. If you do not want us to use your data in this way, please turn off the “Advertising Cookies” option, details of how to do so can be found in our Cookies Policy. Even with “Advertising Cookies” turned off it is still possible that you see a Silven recruitment Ltd advert, or other content, on other websites. In this case it won’t have been targeted at you personally, but rather at an anonymous audience. We will keep your personal data for a period of three years after our last meaningful contact with you (or our last meaningful contact with the company or entity that supplies your services if they are provided via a third-party company or entity). Different laws may require us to keep your personal data for different periods of time, where a law requires we keep your personal data for a period in excess of three years your personal data will be kept for the period required by law. “Meaningful contact” means, for example, written or verbal communication between us and you or where you are actively using our online services, including, but not limited to, uploading your updated CV to our website. We also consider communication from you regarding potential roles, either written or verbal, or clicking through from, or replying to, any of our marketing emails as meaningful contact. If Silven recruitment Ltd merges with or is acquired by another business or company in the future (or is in meaningful discussions about such a possibility) we may share your personal data with the (prospective) new owners of the business or company. Article 6 of the General Data Protection Regulation (GDPR) requires that we process all personal data lawfully, fairly and in a transparent manner. In plainer language this is where Silven recruitment Ltd has a legitimate reason to process your data provided it is reasonable and does not go against what you would reasonable expect from us. As a Candidate we believe it is reasonable to expect us to collect and user your personal information to provide recruitment services to you, to share your personal information with prospective employers and compare your skills against our current vacancies where you have either provided us with your information directly, posted your CV information on a job board or on professional networking sites. Once it looks like you may be offered a position with a prospective employer they may want to check any information you have provided or to confirm your qualifications, experience or references. The providing of this information to prospective employers is required to help you, and other Candidates, get the jobs you deserve and allows us to function as a profit-making recruitment business. We think it’s reasonable to process your personal data to provide a tailored recruitment service, offering you, the Candidate, a more pleasant job search experience and ensuring you receive the most appropriate content for your job search. While we don’t believe any of the above activities prejudice you in any way – they enable us to provide the service you have engaged us for – you have the right to object to us processing your data on this basis. Individuals have the right to be informed about the collection and use of their personal data in a concise, transparent, intelligible and easily accessible way that uses clear and plain language. This Privacy Notice serves to provide this information. Where personal data is obtained from third-party sources we will endeavour to inform the individual of this privacy information in a timely manner and no later than one month after receiving the data. This right of access has been provided to allow individuals to access their personal information, so they are aware of and can verify the lawfulness of the processing. To find out if we hold any of your personal information, and what data we hold, a Subject Access Request can be submitted. Where we are legally permitted to do so, we may refuse your request. If we refuse your request, we will always tell you the reasons for doing so. Individuals have the right to request that any inaccurate personal data is rectified or completed if it is incomplete. Personal data is considered to be inaccurate if “it is incorrect or misleading as to a matter of fact”. This request can be made either verbally or in writing. When a request for rectification is received we will take reasonable steps to confirm the identity of the individual making the request and to satisfy ourselves that the data provided is accurate and that rectification of the data is required. When considering the accuracy of the data you have the right to restrict the processing of your personal data until its accuracy has been established. Details of this right can be found here. When we are satisfied of the accuracy of the new data we will update it within our systems. If we have shared the inaccurate personal data with third-parties, we will notify them of the rectification unless this is impossible or involves disproportionate effort. We will inform you of the outcome of your request within one month of receipt of your request. Where a request is complex, or a number of requests have been received from you, the time to respond may be extended by a further two months. If we will be extending the time period we have to respond to your request, we will inform you of this within one month of receipt of the request and explain the reasons for the extension. We retain the right to refuse to comply with a request for rectification if the request is “manifestly unfounded or excessive”. Alternatively, we may request a “reasonable fee” to deal with requests considered to be “manifestly unfounded or excessive”. Their right to seek to enforce this right through a judicial remedy. This information will also be provided if we request a “reasonable fee” to comply with the request. When a request for erasure is received we will take reasonable steps to confirm the identity of the individual making the request. Once proof of identity has been obtained we will take all reasonably practicable steps to Delete the relevant data and inform other organisations of the erasure if the personal data has been disclosed to others. We retain the right to refuse to comply with a request for erasure if the request is “manifestly unfounded or excessive”. Alternatively, we may request a “reasonable fee” to deal with requests considered to be “manifestly unfounded or excessive”. This infomation will also be provided if we request a “reasonable fee” to comply with the request. Individuals have the right to request that we restrict our processing of their personal information, this right is not absolute and only applies in certain circumstances. This means that we can continue to store your personal information but the ways in which we can use your information is limited. This is an alternative to requesting the erasure of your data. You have objected to the processing of your personal information and we are considering whether our legitimate grounds override yours. If we have shared your personal information with third-parties, we will notify them of the request to restrict processing unless this is “impossible or involves disproportionate effort”. We will notify you before lifting any restriction on processing your personal information. We retain the right to refuse to comply with a request to restrict processing if the request is “manifestly unfounded or excessive”. Alternatively, we may request a “reasonable fee” to deal with requests considered to be “manifestly unfounded or excessive”. Individuals have the right to obtain and reuse the personal information for their own purposes across different services. In effect, this means you are able to transfer your personal information held by Silven Recruitment Ltd between Data Controllers. To enable this transfer, we will provide you with your information in a structured, commonly used and machine readable format that is password-protected so that you can transfer the data to another Data Controller. The personal information provided will be restricted to the personal information you have provided to us. We are carrying out the processing by automated means (i.e. without any human intervention). To be able to exercise this right you must have “grounds relating to his or her particular situation”. Individuals have additional rights with the fully automated decision making, including profiling with legal or similarly significant effects restricted. This restriction only applies to fully automated individual decision making where there is no human involvement. Individuals have the right to withdraw previously given consent at any time, for example where consent has been given for direct marketing. When consent is withdrawn we will cease to carry out the activity for which consent has been withdrawn unless we consider that there is an alternative reason to justify our continued processing of your data for this purpose. Where we consider this to be the case we will inform you of this condition and the alternative reasons. Details of how to get in touch about these rights can be found here. We endeavour to deal with any requests without undue delay, and in any event within one month (subject to any extensions to which we are lawfully entitled). We may keep a record of your communications to help us resolve any issues which you raise. Where our lawful basis for processing your personal data is consent you have the right to withdraw your consent at any time by contacting us. If you withdraw consent, where consent is the legal basis for processing, we will cease to process your personal data for the activity which consent has been withdrawn unless we still need to process your data for legal or official reasons. If this is the case, we will inform you and will restrict the data to only what is necessary for the purpose of meeting those specific reasons. If you blieve that any of your data that we process is incorrect or incomplete, please contact us using the details above and we will take reasonable steps to check its accuracy and correct it where necessary. Individuals can raise a Subject Access Request (SAR) to exercise one or more of their rights, listed in the Your Rights section of this Privacy Notice. As part of any request you will be required to provide proof of your identity before the request is processed. Your request will be processed within one month of receipt of both your request and proof of identity, except in circumstances where requests are complex or numerous. If a request is considered complex or numerous we may extend the period of compliance by a further two months, notification of this will be provided within one month of receipt of the request along with details of why the extension is necessary. Subject Access Requests will be processed free of charge except where the request is deemed “manifestly unfounded or excessive”. Where this is the case a “reasonable fee” may be charged. A “reasonable fee” may also be charged to comply with requests for additional copies of the same information, this fee will the administrative costs involved in providing the information. Where we consider a request to be “manifestly unfounded or excessive” we may refuse to respond to the request. If we refuse to respond we will provide details of why this decision has been made along with details of your right to complain to the supervisory authority (the ICO) and to a judicial remedy. We are committed to taking all reasonable steps by means of “appropriate technical and organisational measures” to safeguard the personal information we hold form misuse, loss or unauthorised access. These include measures to deal with any suspected data breach. We secure the personal information you provide on computer servers in a controlled, secure environment, protected from unauthorised access, use or disclosure. When personal information is collected on our website and/or transmitted to other websites, it is protected through the use of encryption, such as the Secure Socket Layer (SSL) protocol. If you suspect any misuse, loss or unauthorised access to your personal information please let us know immediately. Details of how to contact us can be found here. Cookies are small text files that are placed on your computer, smartphone or tablet by websites that you visit. They are widely used to make websites work, or work more efficiently, as well as to provide information to the owners of the site. Cookies are used by nearly all websites and do not harm your system. Silven recruitment Ltd may use third-parties to perform services in connection with our operations, to improve our website and our services, products and features, and to protect our users. These third-parties may include (but are not limited to) service providers and vendors. Any sharing of personal information with a third-party will be done under contract with the third-party obliged to keep the data secure. The third-party will only use the information to fulfil the service(s) they provide and will delete all personal information when it is no longer needed to fulfil that service. A list of the third-parties with whom personal data may be shared can be found here. Our website contains links to other websites. Please be aware that we are not responsible for the privacy practices of those other websites. When you leave our website, we encourage you to read the privacy notices of each and every website. 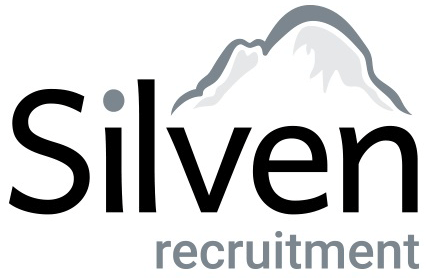 Candidate – This category includes applicants for all roles advertised or promoted by Silven recruitment Ltd including permanent, temporary and interim positions with Silven recruitment Ltd’s Clients; as well as people who have supplied a speculative CV to Silven recruitment Ltd not in relation to a specific job. Employees of suppliers or other third-parties put forward for roles with Silven recruitment Ltd will be treated as candidates for the purposes of this privacy notice. Client – This category includes our customers, clients and others to whom Silven recruitment Ltd provides services in the course of its business. Data Controller – A data controller determines the purposes and means of processing personal data. Data Processor – A data processor is responsible for processing personal data on behalf of a controller. Other People Whom Silven recruitment Ltd May Contact – This category may include Candidates’ and Silven recruitment Ltd’s Staff emergency contacts and referees. We will only contact them in appropriate circumstances. Personal Data/Personal Information – The GDPR applies to ‘personal data’ meaning any information relating to an identifiable person who can be directly or indirectly identified in particular by reference to an identifier. Personal data that has been pseudonymised – e.g. key-coded – can fall within the scope of the GDPR depending on how difficult it is to attribute the pseudonym to a particular individual. Sensitive Personal Data/Sensitive Personal Information – The GDPR refers to sensitive personal data as “special categories of personal data” (see Article 9). Staff – This category includes employees and interns engaged (or who have accepted an offer to be engaged) directly in the business of Silven recruitment Ltd as well as certain other workers engaged in the business of providing services to Silven recruitment Ltd (even though they are not classed as employees). Independent contractors and consultants performing services for Silven recruitment Ltd fall within the definition of a “Supplier” for the purposes of this Privacy Notice. Supplier – This category refers to partnerships and companies (including sole traders), and atypical workers such as independent contractors and freelance workers, who provide services to Silven recruitment Ltd. In certain circumstances Silven recruitment Ltd will sub-contract the services if provides to Clients to third-party suppliers who perform services on behalf of Silven recruitment Ltd. In this context, suppliers that are individual contractors, freelance workers, or employees of suppliers will be treated as Candidates for data protection purposes. Please note that in the context, Silven recruitment Ltd require Suppliers to communicate the relevant parts of this Privacy Notice (namely the sections directed to Candidates) to their employees. Website Visitor – This category includes any individual who accesses any of the Silven recruitment Ltd websites.